Our 1 pound antweight Tiny Destructo gets a nice flip in on Verbal Irony. Verbal Irony would come back to win this match when TD stopped unexpectedly. 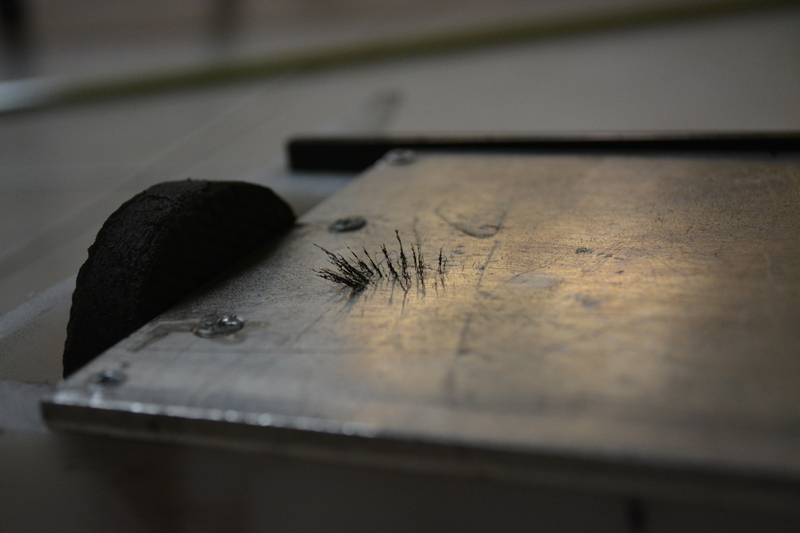 It would later be discovered that the receiver had reset in the middle of the match, and likely would have come back on, but we tapped out to prevent taking unnecessary damage. 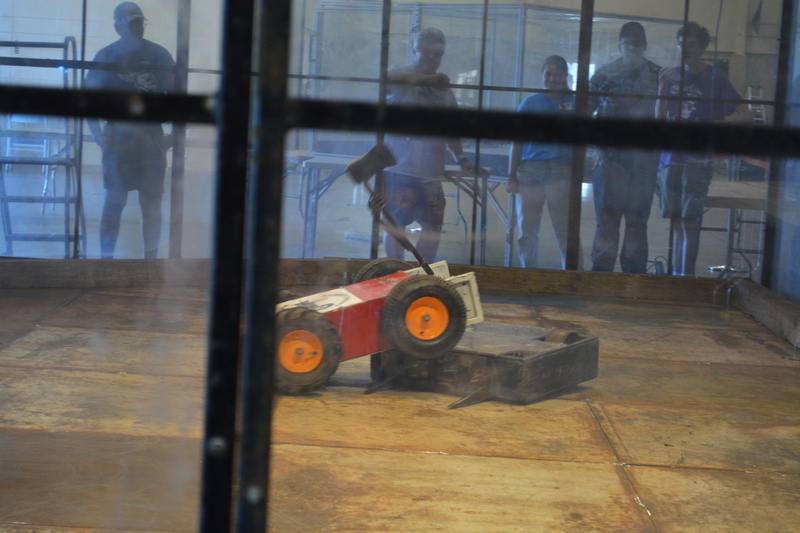 Our 220 pound Heavyweight robot Old Iron gets under Ag-gresive during a heavyweight bout. 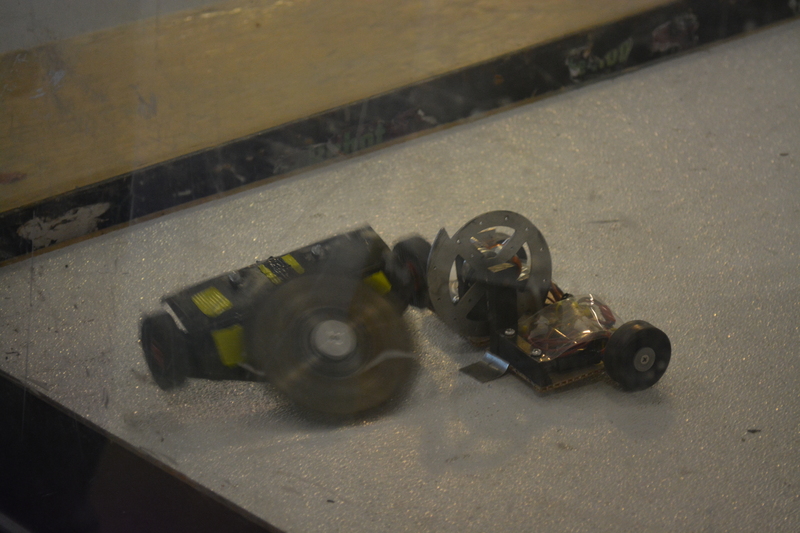 Old Iron was easily the oldest bot in the competition having fought originally under the name 4-Letter Word back on January 1st, 2003. Chainsaw is up to full speed in this match. Ant from hell threw a belt early in the match, chainsaw threw his entire blade later in the match, but Chainsaw was able to out push Ant from Hell and got a couple nice pins to secure the victory. One of these things is not like the other. 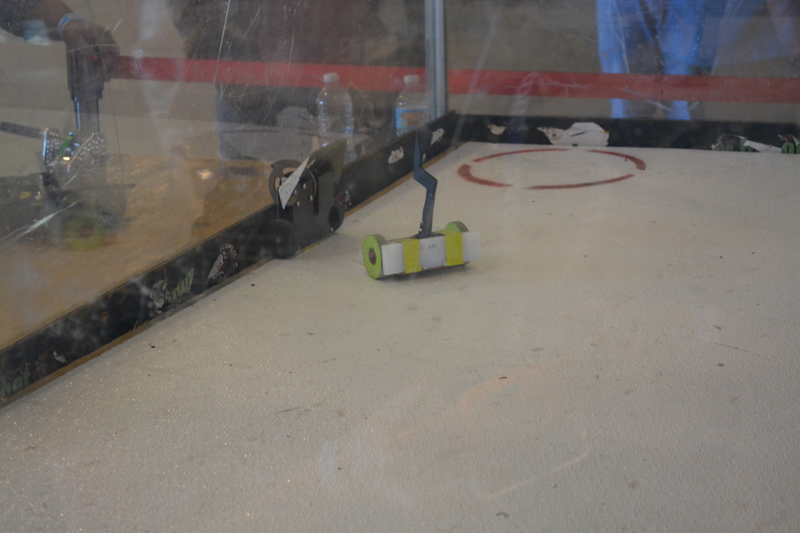 Our 12 pound Hockey Bot (named High Sticking) is made nearly entirely out of wood. The wood motors were the hardest part. Obviously, I’m just joking. The wood receiver was much harder. 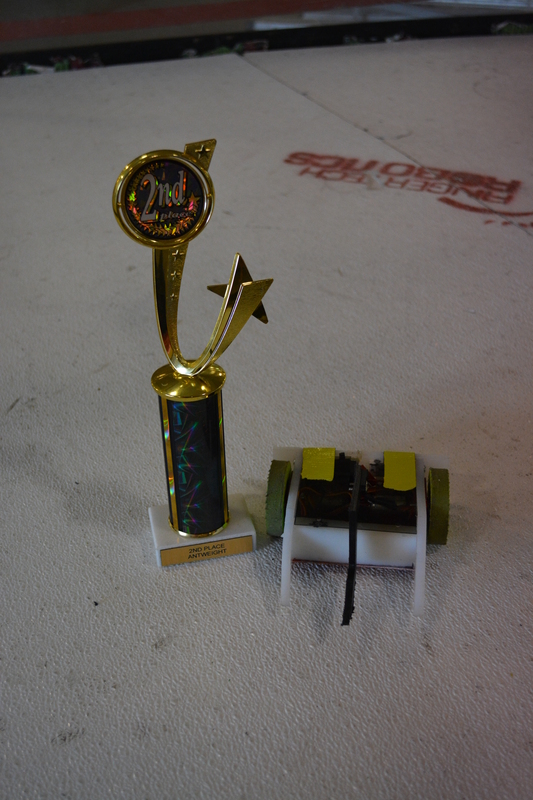 CE Robots joined forces with Team Rolling Thunder to form Team Scotch Pies and ultimately took second place in the tournament. Bot Hockey is a ton of fun. 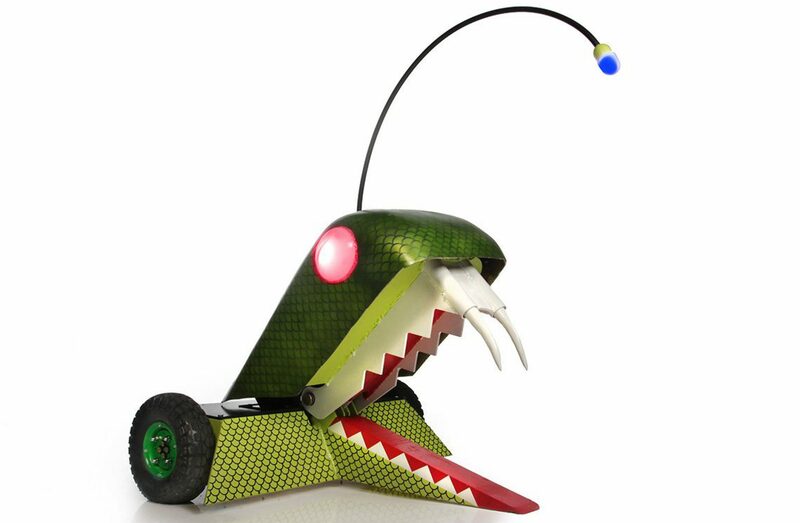 Check out our Mini Bot Hockey rules for a new class of hockey bots we’re working on.